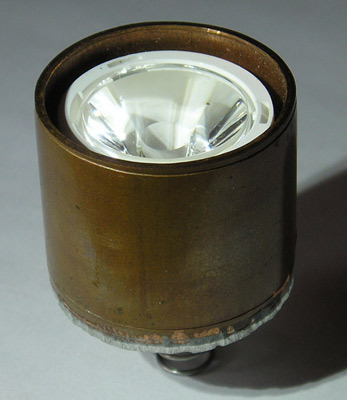 The Bisun insert for Super Sabrelight dive torches is a copper-bodied drop-in replacement which gives far more light than the regular bulb-based unit. The beam is still reasonably focussed, it is wider than the pencil beam of the original insert, with more spill. With simple reversible modificastion to the torch body, the insert also works in 3-C-cell Scubapro lights.